Eating pomegranate and fitness levels could be directly linked when it comes to the benefits to your overall fitness level. What is it in the juice that could benefit you in the area of fitness and health? We know it's bursting with delicious taste, but what does it contain that really makes a difference in how your body performs during a workout and how your body feels following a workout? Serious bodybuilders study up on what it takes to give them the best possible chance at building muscle and gaining strength from their intense workouts. The benefit of nitric oxide is no secret to guys and gals who have been bodybuilding for any amount of time. Nitric oxide gives an extra boost of power when lifting weights, so it's a desired part of their daily intake. Pomegranate juice doesn't contain nitric oxide, but it actively protects it and keeps it from breaking down and deteriorating in the body. Following the research that was conducted at UCLA, researchers recommend that body builders drink a combination drink of 20 grams of whey protein mixed with 8 ounces of pomegranate juice right before lifting weights for the best energy, fuel source, and better "pump". Do you think drinking pomegranate juice could impact how sore your muscles felt after your workout? How about affecting the amount of strength you have in your upper body? At the University of Texas at Austin, researchers working in the Human Performance Lab did a series of tests to see if pomegranate juice made any difference in fitness levels. What they found was that men who drank pom juice as a supplement experienced a lot less muscle soreness in their upper body after completing several sets of strength training moves. The men also said they felt more strength in their elbows while exercising. The same men were studied in regards to how pomegranate juice affected the strength and muscle soreness in their lower bodies and found that it made no difference at all. Joint pain and inflammation can be huge deterrents to keeping fit and healthy and that couldn't be truer for patients with rheumatoid arthritis. An interesting study and the results of the study were released in The Israeli Medical Association Journal in August 2011. 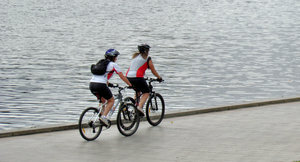 The study involved eight people who have rheumatoid arthritis. At the very beginning of the study, each person was evaluated so the researchers knew how much the joints had already been affected. Serum oxidative status was also tested. 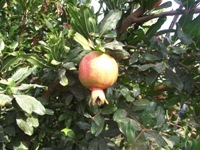 For the duration of twelve weeks, each person drank 10ml of pomegranate extract every day. Every participant said that their joint pain was reduced and overall symptoms of the disease were lessened. Pomegranate juice is packed with antioxidants, Vitamin C, and potassium and that alone is reason enough to drink this tangy juice! Naturally boost your fitness levels just by adding 8 ounces of this juice to your daily regimen! 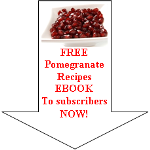 Read enough about pomegranate and fitness and want to discover more about pomegranate fruit diet?